Vinyl siding is one of the most popular options due to its durability and affordability. Attractive siding can bring the entire exterior of your home together – but old, damaged siding can just as easily ruin the aesthetic of the rest of your property. Siding is also crucial to protect your home's frame from the elements, which is why it's essential to keep your siding well maintained. As your local expert siding company, C. Jenkins Construction is here to help solve all of your siding installation and replacement needs. We work with both vinyl and fiber cement siding materials in order to best serve our customers, helping you achieve the look you want for your home. If you're looking to upgrade your home's siding, contact C. Jenkins Construction today to get started! Vinyl siding is the most popular and common material used today. Completely resistant to moisture and mold, vinyl is the least expensive siding material available. It also comes in a variety of colors, so you won't have to sacrifice style for price. Vinyl siding also has the benefit of being extremely low maintenance and easy to clean. Remodel Vinyl Siding. Parham Rd, Griffen Ga. Fiber cement siding can look like many other materials by its convincing imitative properties. Are you looking for a customizable siding material that offers extra protection against fire and severe weather? 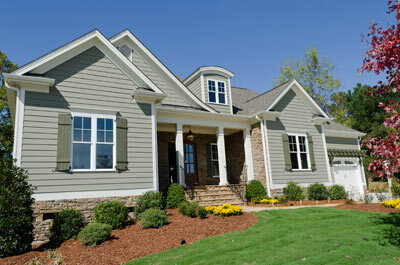 Heavy-duty fiber cement siding combines affordability and strength for a flawless finish. Unlike many other materials, fiber cement can be made to replicate other materials. You can get the look of wood, for example, with the durability of fiber cement. It is also paintable, so you'll have a limitless supply of color options! From high-impact storms to normal wear and tear or faulty installation, there are many ways siding can become damaged. 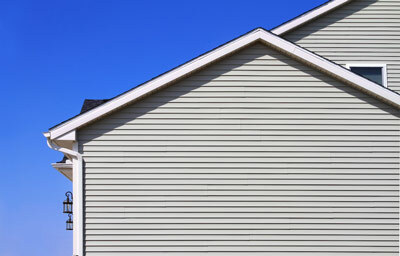 Your siding might just be experiencing a small crack, or a large section of it may be missing. But no matter how big or small your siding problem might seem, it's usually worth seeing if siding repair is a viable option. C. Jenkins Construction specializes in seamless siding repairs that handily blend the old with the new. Because of our experience with many kinds of siding, we know the best ways to make your home look as good as new. Using a variety of techniques including sealing, caulking, painting, and renailing, our professionals will get your siding back up to scratch. Regardless of whether a major storm created a need for new siding or if you're looking to do some exterior remodeling, C. Jenkins Construction's siding specialists are here to complete your job on-time and on-budget. As a local company, we care about our customers' needs and won't stop until you are completely satisfied. Ready to get started on siding installation? Contact us today to schedule your consultation!